Following is a list of the public talks Belsebuub has given, however this list is not exhaustive, as he gave many more in study centers, in the media and online. Some of them are published as articles on this website and in his books. Some of the video made of these talks appear beneath them. Belsebuub gave and courses in person in halls, community centers, study centers, and at festivals over these nine years. Talks given at a four day retreat in Quebec, Canada in July. Talks given at a retreat in Greece in August. A series of lectures at the university of Nicosia in Cyprus in June. Talks given in Athens, Greece. Talks given at a retreat at the Bunya Mountains, Queensland, Australia in January. Talks given at a retreat in Oregon, USA in July. Talks given in Berkeley, California, USA in August. Talks given in Berkeley, California, USA in January. 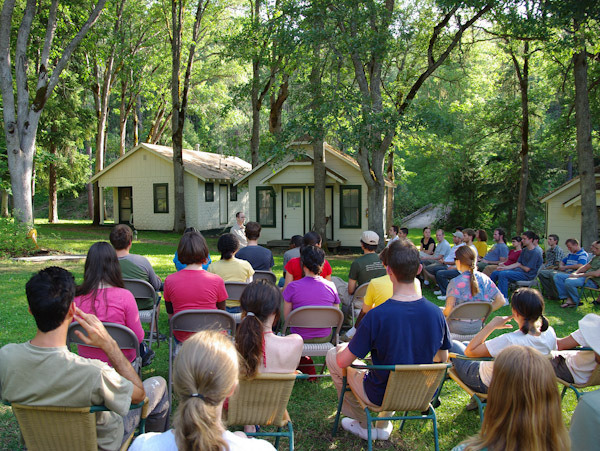 A talk at a park in California, USA in April. Talks given in Berkeley, California, USA in May. Talks given in Berkeley, California, USA in July.